Excellent, low maintenance groundcover. This spreading evergreen has fresh, light green foliage and blue cones. 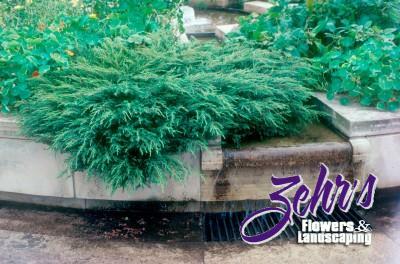 Attractive in a foundation planting, draped over rock walls and great for slopes. Drought tolerant once established.